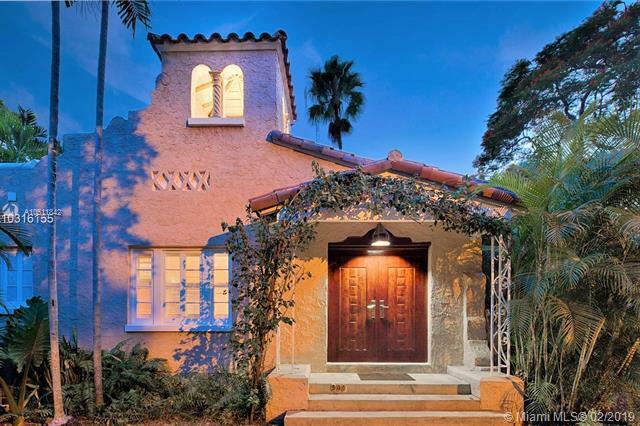 A classic, 1920's Old Spanish style villa within easy walking distance to the urban center of Coral Gables with its wealth of world class restaurants, cafes, bookstores, art galleries and shops. 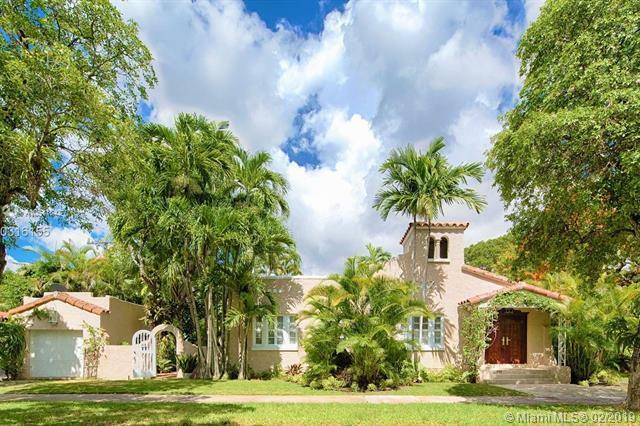 New kitchen, new bath, restored original hardwood floors, fireplace, high ceilings, crown moldings. This home has 2 bedrooms and 1 bathroom, a formal dining room, formal living room, small den or breakfast room and a large foyer. The garage has been converted into a studio (with no bathroom) and has impact doors & windows. 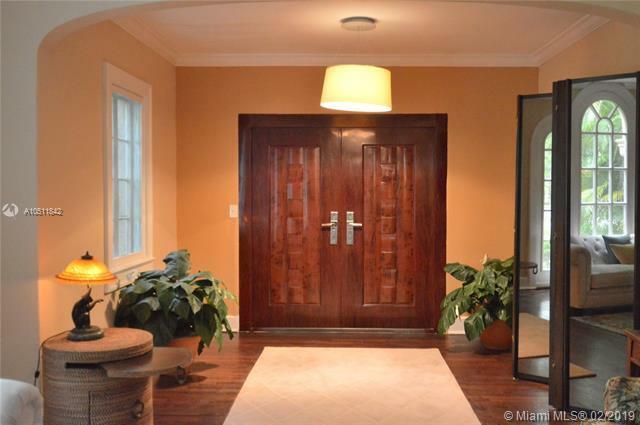 Double front entry doors are new and are impact hurricane resistant type. The corner lot is 50X113. 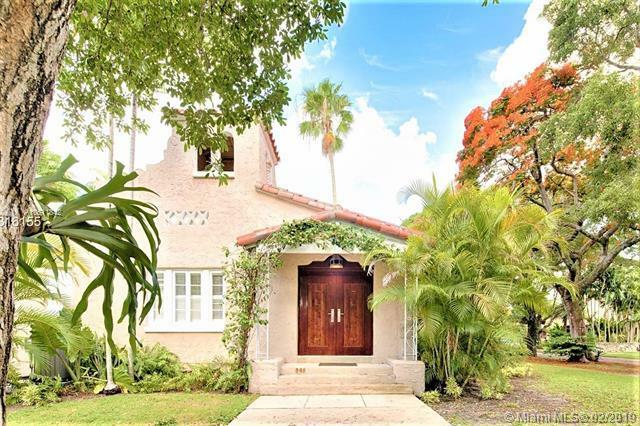 This home has extraordinary charm and is extremely well located on one of Coral Gables most desirable streets with very high walkability to the City.